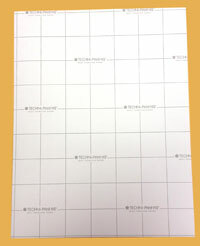 BDF Graphics is a distributor for Neenah's heat transfer papers. Neenah has been an industry leader in the creation, development and improvement of heat transfer products since 1980. 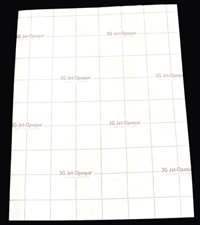 These US made high quality transfer papers are ideal for customizing T-shirts, cloths, tote bags, etc. The following are some of the products we have in stock. Just click the product link to see product specifications and price list. Print and Cut or Contour Cutting using Silhouette Cameo - a perfect, cost-effective solution for machine-trimming regular heat transfer papers, especially opaque transfer papers for dark color fabric. Please visit the Silhouette Cameo page for more info. 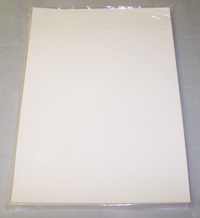 For heat transfer supplies, such as parchment paper and Teflon sheets, please visit the Transfer Supplies page for more info. JET-PRO SS transfer paper produces soft, supple yet vibrant and wash-durable ink jet printed transfers to white and light colored cotton, cotton/poly blends and 100% poly fabrics. It is the easiest to use and has the least "hand" or feel. This product is Oeko-Tex, Standard 100 approved. For information about how to use this paper, you can view the Product Application Guide here. 3G JET-OPAQUE transfer paper can produce soft, supple yet vibrant and wash-durable ink-jet printed transfers onto dark colored cotton, cotton/poly blends and 100% poly fabrics. This product contains an opaque layer that allows for photo quality images to be transferred, best used for transferring photographs or other designs onto dark garments. This product are Oeko-Tex, Standard 100 approved. If you do Print & Cut with this paper, you will probably need a special mask tape to hold the cut-outs together for transfer. You can use our product FDC Lumina 9404 Print Mask with heat resistant high tack pressure sensitive adhesive (HT-V111) for this purpose. 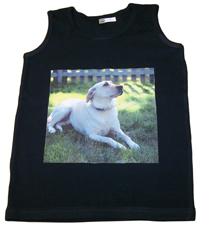 TECHNI-PRINT EZP Heat Transfer Paper produces soft, supple yet vibrant and wash-durable laser printed transfers to white and light colored cotton, cotton/poly blends and 100% poly fabrics. It is the easiest to use and has the least "hand" or feel in laser printing. It is designed for both fuser oil and oil-less laser printers and copiers. This product is Oeko-Tex, Standard 100 approved. LASER-1-OPAQUE produces vibrant and wash-durable laser printed transfers to dark colored cotton, cotton/poly blends and 100% poly fabrics. The product runs through a vast array of fuser oil and oil-less laser printers and copiers. This product is Oeko-Tex, Standard 100 approved. TECHNI-PRINT HS Heat Transfer Paper is a laser printable sheet that can be used to transfer an image to almost any hard surface, such as mugs, ceramic tiles, wood, glass and metal. No pre-treatment or coating of the surface is required! It can be printed with any laser printers and copiers. This product is Oeko-Tex, Standard 100 approved. Note about the sample transfers: the mugs were purchased from a local dollar store; the TECHNI-PRINT HS was printed with an office HP LaserJet printer; transfer was done with our mug press (HT-MP03). IMAGE CLIP Laser Light transfer paper produces self-weeding, vibrant and wash-durable laser printed transfers on white and light colored cotton, cotton/poly blends and 100% poly fabrics. The product runs through a vast array of fuser oil and oil-less laser printers and copiers. 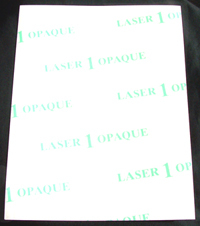 IMAGE CLIP is self-weeding and leaves no background polymer and works well on cotton, cotton blends and polyester. There is no need to trim the paper. This product is Oeko-Tex, Standard 100 approved. 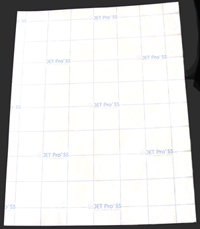 Two step process: Print a mirrored/reversed image on the 'imaging sheet'; press the imaged sheet to the 'transfer sheet'; and then press the treated 'image sheet' to the garment. IMAGE CLIP Laser Dark transfer paper produces self-weeding, vibrant and wash-durable laser printed transfers on dark and bright colored cotton, cotton/poly blends and 100% poly fabrics. The product runs through a vast array of fuser oil and oil-less laser printers and copiers. IMAGE CLIP Laser Dark is self-weeding and leaves no background plastic polymer, and works well on cotton, cotton blends and polyester. There is no need to trim the paper. This product is Oeko-Tex, Standard 100 approved. 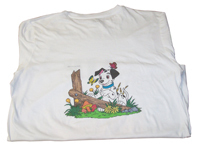 IMAGE CLIP Koncert T's laser transfer paper produces self-weeding, bright white (only), wash-durable laser printed transfers on dark and bright colored cotton, cotton/poly blends and 100% poly fabrics. The product runs through a vast array of fuser oil and oil-less laser printers and copiers. IMAGE CLIP Koncert T's is self-weeding and leaves no background plastic polymer, and works well on cotton, cotton blends and polyester. There is no need to trim the paper. This product is Oeko-Tex, Standard 100 approved. Application: used with sublimation ink for dye sub transfer to light color polyester and other synthetic fibers, as well as for mugs, plates and other sublimatable substrates. Size: 8.5" x 11", 11 x 17"
The following sample transfers are made with all BDF products: t-shirt press, inkjet transfer papers (Jet-Pro SS and 3G Jet-Opaque). Printed with an Epson printer.